Paris has plenty of hostels, but which are the best? Which are the cheapest? Which are the best for couples? Which are the best for partying? Which are the best for those of you that want a quiet and relaxing stay? Well, we've got you covered, because not only are we going to show you the best, but we're also going to break it down by the personality of each hostel so that you can find the right one for you and your budget. So, let's get started: here are the best hostels in Paris, France. The average price for a dorm bed in a hostel in Paris is $28, and the average price for a double private room at a hostel in Paris is $61. It is possible to find dorm beds for a cheap as $15. However, this price depends largely on the season and the quality of the hostel. Pay attention to the amenities, because spending a little extra for a bed will usually get you a much better hostel, too. When booking a hostel, make sure that you consider the following factors and not just the budget. The Season: prices will vary by season, and summer is the most expensive time of the year. Expect dorm prices to be as much as double the price in the summer than in the off-season. Location: Where is this hostel that looks so cool? If it's not in a convenient part of Paris, you might spend more time on transportation than you like. And that could cost extra money, too. Amenities: Some hostels offer free breakfast, and some have bars, game rooms, and ensuite bathrooms. Depending on the amenities, you may be able to save some money and be more comfortable, too. 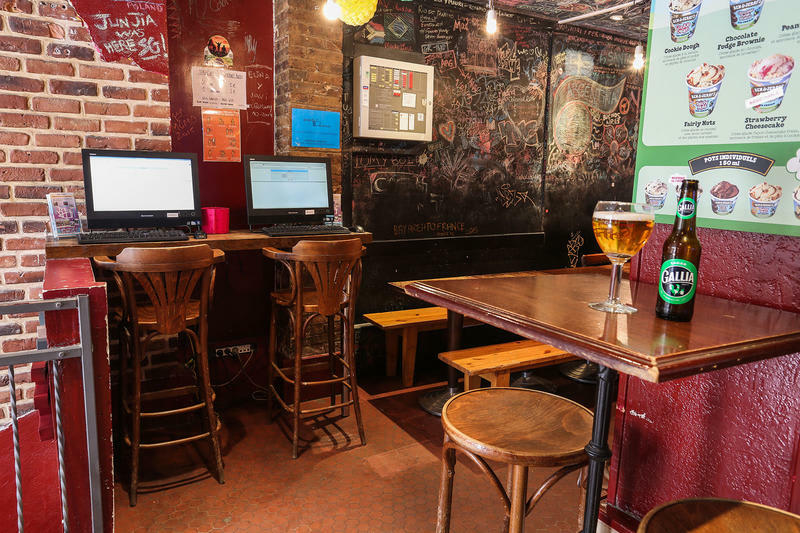 All of the amenities are what will help determine which hostel is best for you, whether it is the best hostel in Paris for solo travelers, couples, or families. Noise: Not all dorms are created equal. If you're looking for a party or a good night's sleep, the hostel you choose can make a big difference. So, what is Paris' best hostel? 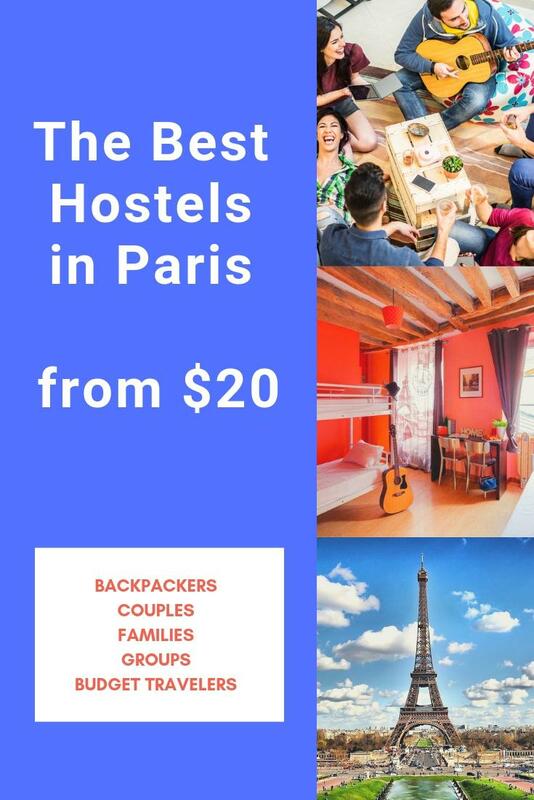 That's a tough call to make, but after analyzing our own personal experiences combined with guest submissions and reader reviews, we're confident that with all of the information below, you can figure out the best Paris hostel for you. After analyzing all of the factors mentioned above, combined with personal experiences, these are the best Paris hostels. Les Piaules is housed in a fully renovated art deco building, and offers a rooftop terrace with a fantastic view over the iconic monuments of Paris. With fast free Wi-Fi, check-out until 12am, custom bunk beds (with curtains, reading light, power plugs, private lockers, and comfy mattress), coffee, French specialties, 24/7 check-in, a multilingual staff, local food and drinks, a city expert desk, and breakfast at a small fee, it's no wonder that this hostel is popular. Many guests have said that Les Piaules is the best hostel in Paris. It also has a stylish bar with a carefully curated selection of local beer. The entire hostel is well decorated, clean, and has a trendy and comfortable atmosphere. 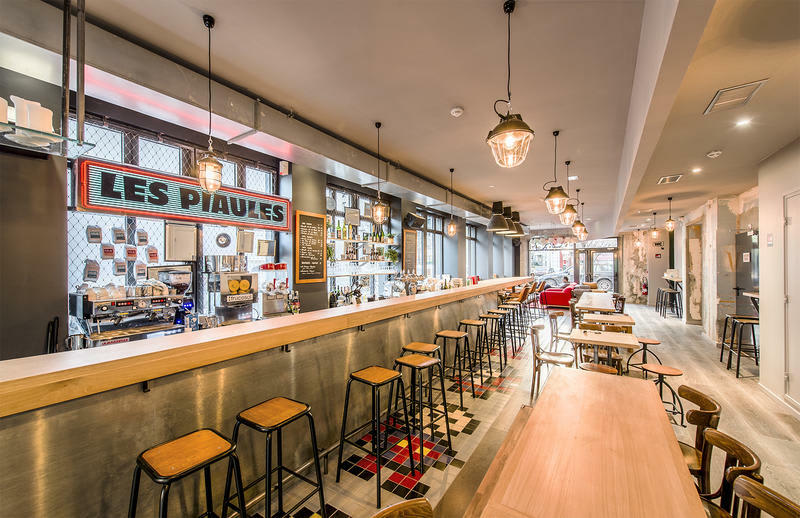 Les Piaules is located in the artsy district of Belleville which features a bunch of bars and coffee shops full of young and cool people, and is close to all must-see attractions in Paris. It's only 50 meters from Belleville metro hub. The property is less than 10 minutes from Paris's historical center where you'll find Le Marais, Chatelet, Republique, Notre-Dame, and Saint Germain des Pres, and has quick access to many of the best historical sights and attractions such as Champs Elysees, Moulin Rouge, Pere Lachaise, and more. Linens are free with your stay and towels are available for hire. This hostel gets rave reviews from guests. Dana says "I love staying at Les Piaules. It's cheap, clean, comfortable, well-located, connected by metro lines and also walking distance to some cool areas. Have stayed twice and will stay again!" See all reviews. 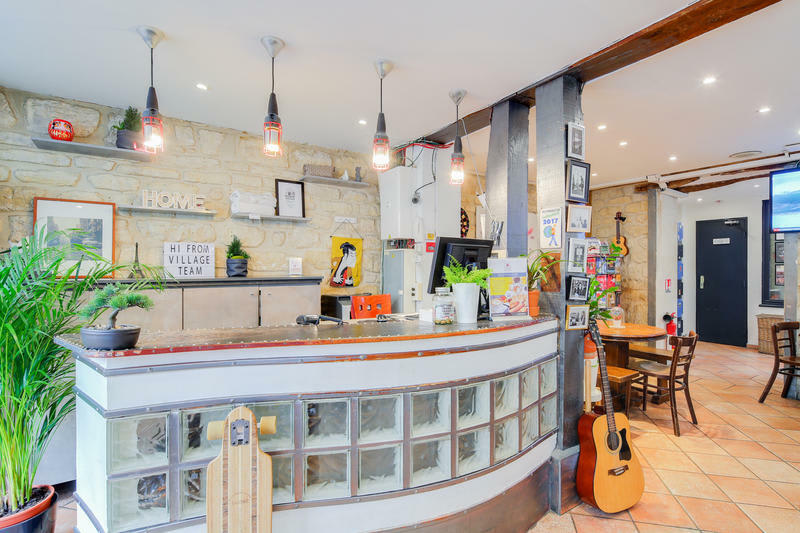 Conveniently located along the canal within close proximity to many of Paris's attractions, this hostel is part of a chain that can be found throughout Europe. If you're a seasoned European traveler you've likely encountered this chain at least once before. The facilities here are modern and reliable and the reputation holds true in the Paris franchise. All of this, and more, is what makes St. Christopher's Canal one of the best hostels in Paris for solo travellers. St. Christopher's Hostel is a self-proclaimed party hostel that offers guests the opportunity to dance until late in the night. It has everything including live music and great parties in its popular Belushi's Bar. On top of that, it has fantastic views of the city, and a really cool terrace that is a great place to meet other travelers. In addition to the fun atmosphere, the facilities are comfortable, clean, and well maintained. Plenty of amenities are available to guests including free wi-fi, linens, and breakfast. There's also a female only floor where girls can relax together in a more mellow atmosphere. Just because the atmosphere might be party-oriented, the entire hostel is not, and quiet places can be found to relax and sleep. Every week the hostel hosts a variety of events including Wednesday Karaoke, Friday Student Nights, and the Saturday Club Party. Both travelers and locals alike enjoy these events. The social environment has made this hostel one of the most popular in Paris. You're sure to make a good group of friends during your time here. Thousands of guests have left reviews. Nicole says, "The hostel location and atmosphere was really nice, and the staff were very friendly." Read more reviews. With a great location in one of the most exciting neighborhoods in Paris, this hostel is a great place for those looking for a good time in one of the lower-priced dorms in the city. It's been consistently rated as one of the top hostels in Paris by many guests. It sits at the foot of the Montmartre area and is close to cafes, clubs, bars, as well as hangouts for eclectic musicians and artists. Guests from around the world have said that this is one of the best Paris hostels for solo travellers. The hostel offers guests all kinds of amenities including free breakfast, wi-fi, luggage storage, and free tours of the city. There's also a full kitchen that guests may use which can save you money if you choose not to eat at Paris's restaurants. The hostel is popular for its social atmosphere, but it also offers a cozy and comfortable setting. It's a chill setting where guests regularly hang out in common areas and chat. Although this hostel is a social hostel, it's much more laid back than many of the party-oriented hostels found in Paris. It's more "talkative" than "loud music", so it offers guests a perfect combination if they're looking for a place to meet fellow travelers, but also get some sleep at night. Reviews are mostly positive and highlight the helpful staff, social atmosphere, and great location. Many guests just put it simply as, "Best hostel Paris has to offer." 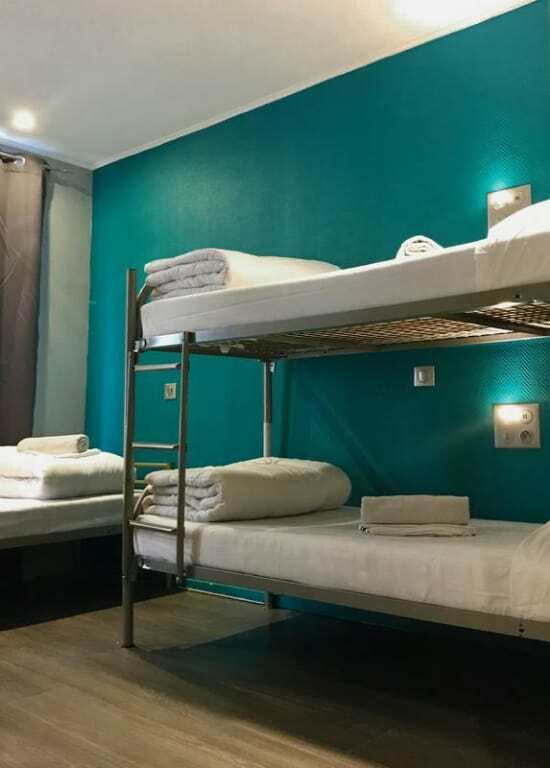 This large Paris hostel, not too far from the Gare du Nord and near several metro stations, has plenty of rooms and bunks at reasonable prices. 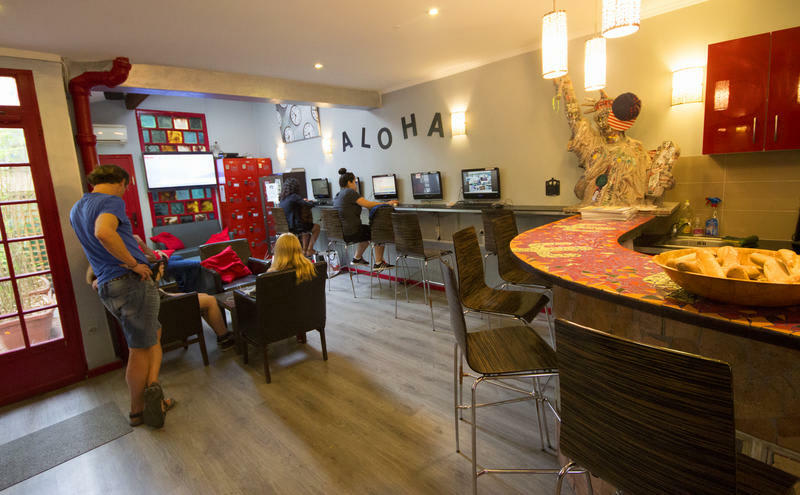 Being such a large youth hostel in Paris means that plenty of amenities are offered, as well as plenty of other guests to meet and hang out with. And the entire building has a fun and vibrant decor with modern comforts. A variety of rooms can be found here, from large dorms with cheaper beds to deluxe private rooms with en-suite bathrooms. No matter which room you choose, you'll get a good value compared to other hostels and hotels in Paris. The renovated building is modern and clean. Amenities include an on-site bar in the basement and cafe with meals served throughout the day at good prices. The rooftop terrace is very nice. Dorms have lockers and air conditioning. Bathrooms are modern and well-kept. Wi-fi is also included. Other services include a tour desk, laundry, luggage storage, and pretty much anything else that would be expected from a hostel because they are big enough to cater to everyone's needs. With so many options, it's no surprise that so many backpackers stay here, making this one of the best hostels in Paris for solo travelers. Reviews of this hostels can be mixed, but are generally positive. Many guests say that this is one of the best hostels for solo travellers, as well as couples and smaller groups. Most reviewers say that the hostel is comfortable and friendly, and that the social vibe depends on who you meet and hang out with. It's so large that some people feel lost, while others make plenty of friends. Read all reviews. Having won multiple awards, this is one of the most popular hostels in Paris. It's very lively, especially at night in the large bar and dance club. They proclaim to have the largest international bar in Paris, and who are we to argue? With plenty of space for dancing and meeting your fellow travelers, this is the place to be. It's also great during the day when the common areas provide a chill atmosphere, which is great for meeting others or planning your adventures in Paris. This branch of St. Christopher's Inn is just 2 minutes from Gare du Nord train station, which makes for a convenient place to stay not just for your arrival, but also for exploring all of Paris. The hostel offers fast free Wi-Fi and modern beds with privacy curtains. Also, a continental style buffet breakfast is available every morning for a small additional fee. 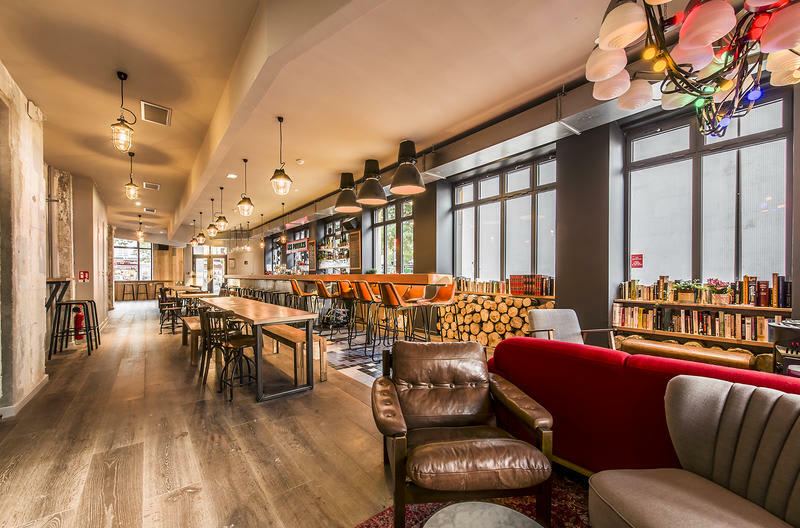 The property is also home to a huge bar where you'll meet travelers and locals alike (guests receive 25% off food and 2 for 1 drink specials). Every room at St Christopher's Paris Gare du Nord includes heating, electronic key security, secure locker storage, and elevator access. 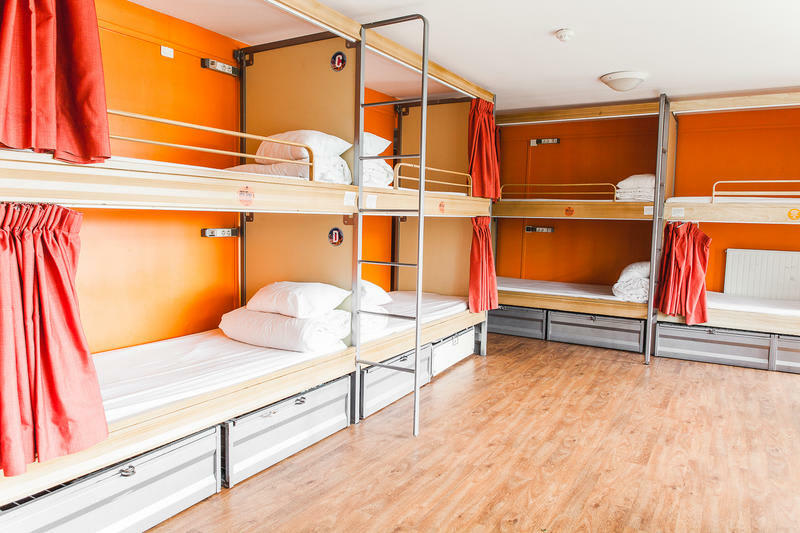 The modern hostel "pod" style beds have curtains for extra privacy and are fitted with power plugs, USB chargers, and reading lights. Other amenities and services include free linens, a travel kiosk with discounts on trips around town, a self-service laundry facility, a common room, internet lounge, a friendly and multilingual staff, and free city walking tours. Guests leaving reviews have said that this hostel can get loud, but is also comfortable. Max said, "the staff were all nice, and my room was spacious and ensuite bathroom was nice and clean." See more reviews. Looking for more options? 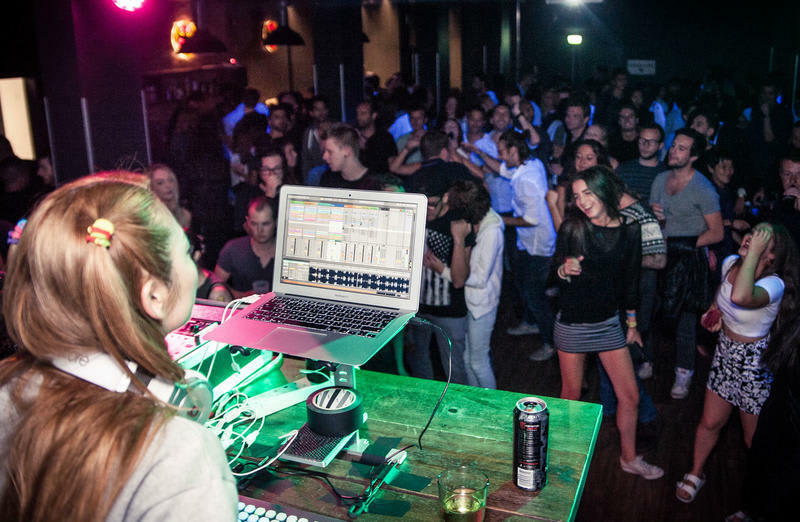 Read our full list of the best party hostels in Paris. This hostel is a favorite for travelers who want to stay in the Montmartre Village area. It's been said in many of its reviews that it's the best Paris hostel for solo travellers. It's near plenty of bars, cafes, shops, restaurants, and pubs, and the rest of the city is also easily accessible by metro. The hostel has a modern and fun design that has lots of color and an eclectic atmosphere. Each room has a private bathroom and the doubles all have flat-screen televisions. Other amenities available to guests include wi-fi access, free breakfast, a kitchen, a luggage area, free tours of the city, and more. You can choose between three, four, five, and six bed dorms. Private rooms are also available for those who want more personal space. This is a great place to stay if you're looking to meet other travelers and have a great time in one of the most fun neighborhoods in Paris. With plenty of great reviews, you can't go wrong here. Joel's review sums it up: "Amazing! The staff are above and beyond friendly and helpful, the rooms are clean and comfortable, even stylish, the free breakfast is simple but more than enough, and the location can't be beat! I can't believe how well it's priced." See more reviews. 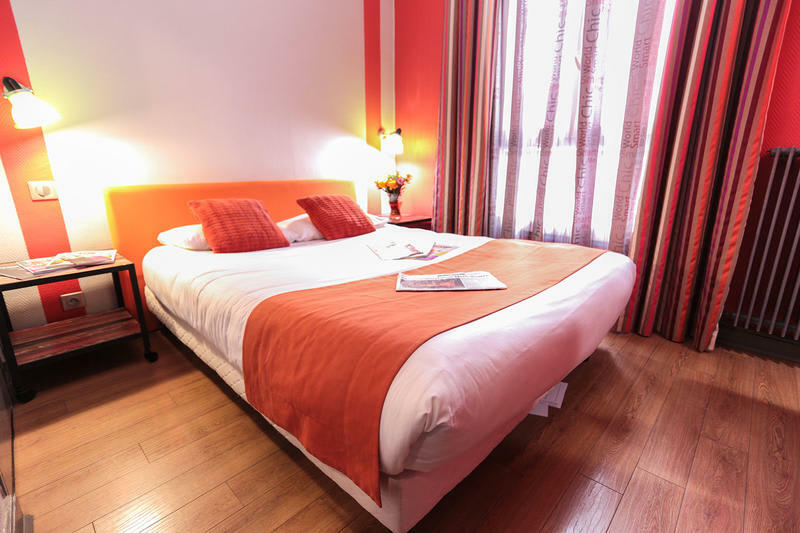 This hostel is centrally located and just a short walk from the Eiffel Tower. It's also not far from the Arc de Triomphe, the Champs Elysees, the Musee Rodin and much more. Public transportation is nearby so you can easily access all of the interesting neighborhoods around Paris. The rooms have been recently renovated and they are charming and pleasant with traditional Parisian decorations. Other amenities available to guests include free breakfast, free internet service, free city tours, movie nights, a luggage room, and much more. There is also a kitchen available for guests use. With thousands of reviews this hostel has achieved a great rating even though some of the reviews are terrific and some are not. On the whole, the reviews are good. Candela said, "The hostel is really nice for the price and location. You can walk to the Eiffel tower and you can even come back walking at 2 am in the morning and the neighborhood is okay. The staff is awesome. They really helped me with all my doubts and they were really chatty and welcoming. I would stay again for sure." See more reviews. 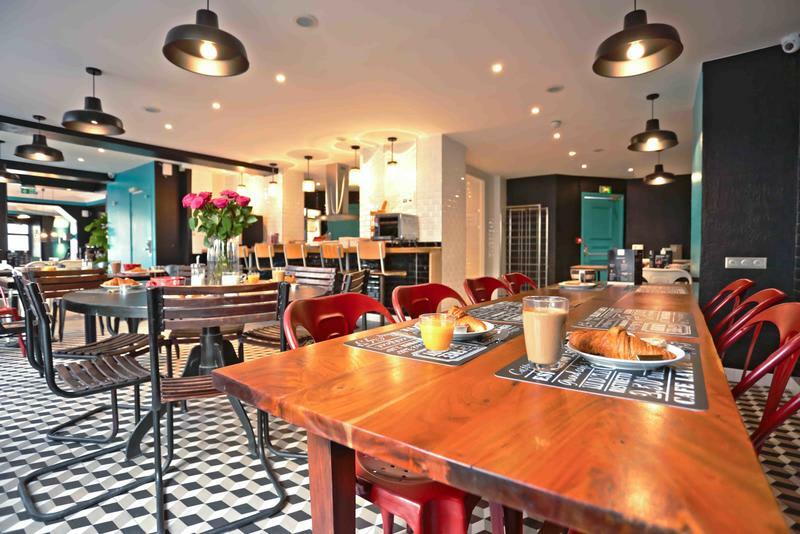 Le Village Hostel Montmartre is a friendly place to stay that will quickly become your home away from home. It's located in the middle of Montmartre, and is about a ten-minute walk from the famous Sacre Coeur of Montmartre. The neighborhood is quaint and charming and it's fun to just get out and wander around the streets. The location is also very central, so it makes exploring the city very easy. This eclectic hostel is popular with artists and poets who have traveled to Paris from all over the world. 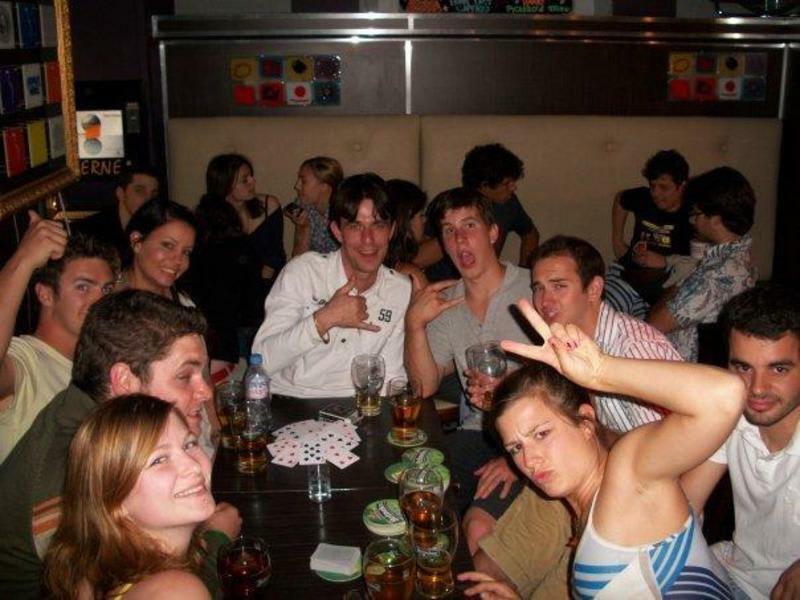 It has a unique charm and atmosphere, and although it does not have the loud "dance party" atmosphere that some of the other hostels do, it does have an in-house pub and a wonderful clientele with a great social atmosphere where you can meet all kinds of people, get to know them, make plans to go out, and enjoy the crowd. It's popular with a variety of visitors including students, tourists, and backpackers. Le Village Hostel has a nice terrace where you can enjoy the views or read a good book. 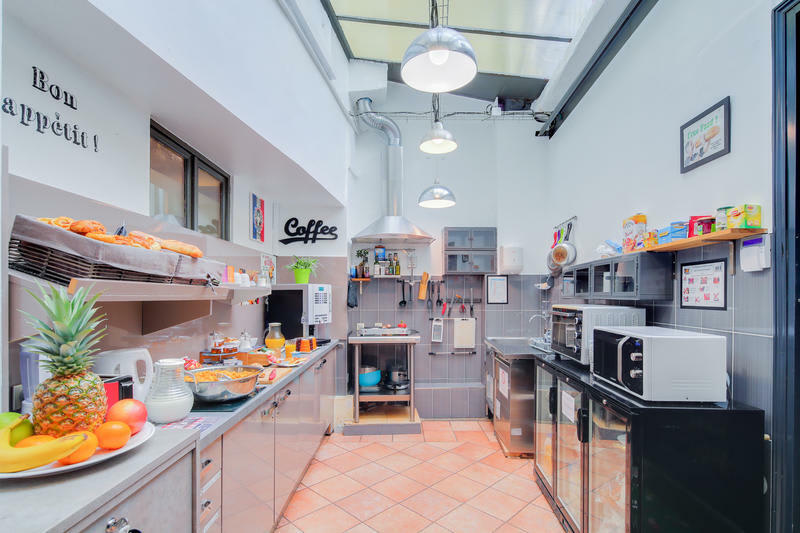 Every morning they provide a Parisian breakfast and if you want to cook your own meals, there's a kitchen available to guests. This hostel has single, twin, double, and three or four bed private rooms available. There are also dorms that sleep four, six, or twelve people. Both co-ed and female only rooms are available. The hostel is also close to supermarkets, bakeries, a post office, the metro, restaurants, and nightclubs. There's also a weekend flea market nearby. They have thousands of reviews, mostly positive, earning it a reputation as one of the best hostels Paris offers. One guest said: "Loved my stay here! The rooms are very bare bones, but the location and common areas are fantastic. My room had a direct view of the sacre coeur, and was so lovely to wake up to each morning. Front desk staff are so warm and helpful, and the bar next door was lively all four nights I walked past it coming and going from the hostel. Very close to the best metro lines in the area so getting around town was always a breeze. Not to mention an easy walk to and from gare du nord." Read all reviews. 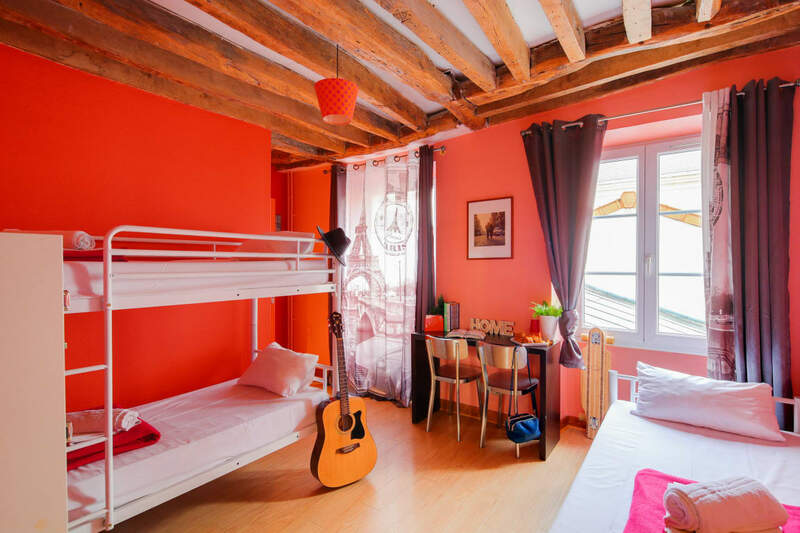 This hostel is located in the vibrant Latin Quarter neighborhood in Paris, France. 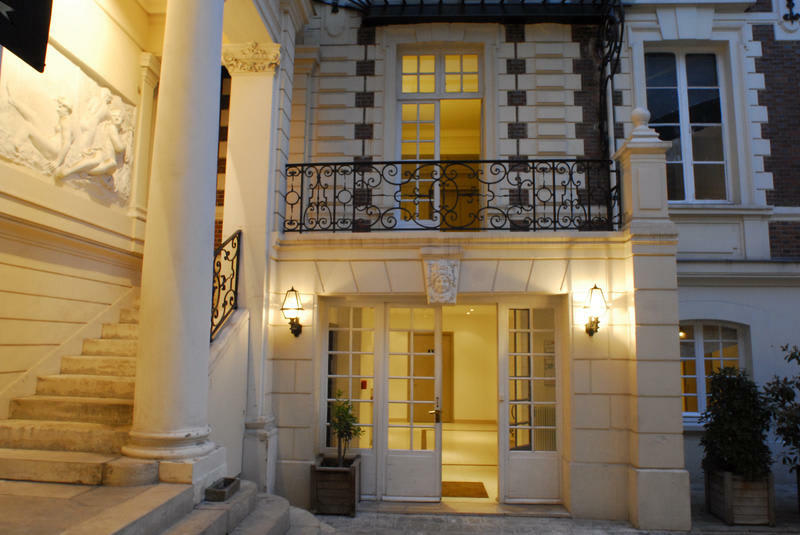 It's centrally located near the Notre Dame Cathedral, the Luxembourg Gardens and the Pantheon. Most of the city's attractions are also easily accessible by Metro, as several stations are nearby. The hostel sits on a quaint shopping street that has the feel and atmosphere of classic Paris. It is also surrounded by many great local pubs and restaurants. The hostel's staff are bilingual and able to give you any travel advice or suggestions that you may need. The hostel also provides a bar and kitchen area that creates a social setting and lets you keep your travel budget in check. Other amenities available through the hostel include free wireless internet, complimentary breakfast, lockers, laundry, a common room, DVDs, televisions in the lobby, board games, free city information, and 24-hour security. Prices are quite reasonable for dorms, especially given the location. Reviews of this hostel highlight the friendly staff, great location, and fun atmosphere. Brittany said, "Altogether a clean, pleasant place to stay. I stayed in the 6 person female dorm and found it quiet, comfortable, and well appointed. The hostel is also in a very convenient location, surrounded by creperies and other places to eat and drink, and mere minutes from a metro stop." Read all reviews. With nicely appointed private rooms and reasonable prices, couples will be comfortable here. Rooms have ensuite bathrooms, and the hostel has a nice social vibe without too much commotion. The hostel has some relaxing common areas to meet other guests, including a kitchen for cooking. A cheap breakfast is offered, as is free wi-fi and luggage storage. The location is quite convenient, too. It's very close to Gare du Nord train station and several metro stations. You can be anywhere in Paris fairly quickly. Near the hostel are a variety of restaurants and bars, plus local shops such as a baker, butcher, and cheese shop. Reviews of this hostel are very good. Britt said, "My boyfriend and I had an amazing stay at your wonderful place! Very convenient, clean and the staff were super helpful. Would recommend to others and would stay here again if ever back in Paris." See more reviews. This is a very simple but comfortable hostel with a very affordable price in an amazing location. Situated in a beautiful old mansion with elegant decor, guests will love the atmosphere. Very close to the Champs-Elysees, this hostel is run by a non-profit. They proclaim that their offerings are simple: a dorm bed and a free breakfast, so most of the other amenities have a charge, such as for towels. However, the staff is friendly, the guests are social, and they offer free wi-fi, bike parking, a common room, and a bar and cafe. The house itself is beautiful and adds to the ambiance of the hostel. BVJ (Bureau des Voyages de la Jeunesse or "Young Travelers Organization") is a non-profit organization that was started in 1948 for the promotion of travel, friendship, and understanding amongst youth from around the world. 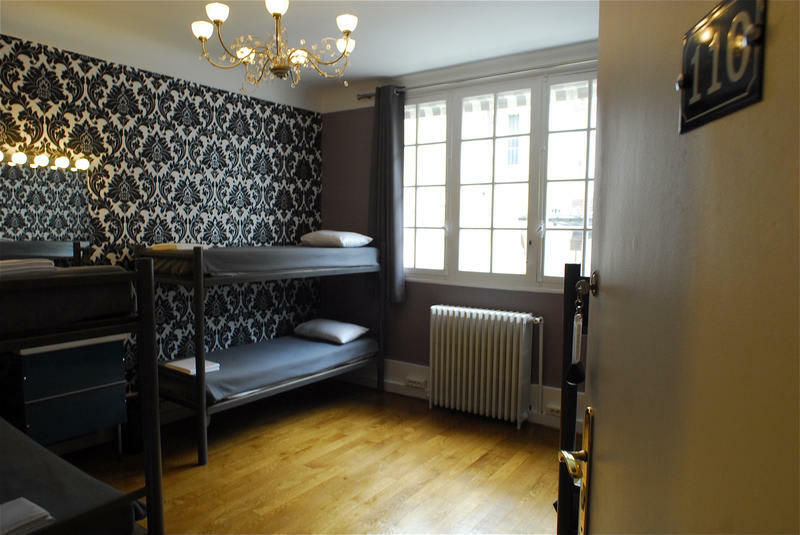 The organization also operates a few other hostels in Paris, such as BVJ Opera-Montmartre Hostel. Thousands of positive reviews have led this hostel to receive an excellent rating. Jae says, "Wonderful hostel! Stayed in an all-female dorm and everyone was chill and minded their business in the best way. Staff were friendly and approachable, breakfast was good (simple preserved breads, fresh baguette, preserved cheese and jam, fresh coffee) with more than enough to go around." Read more reviews. 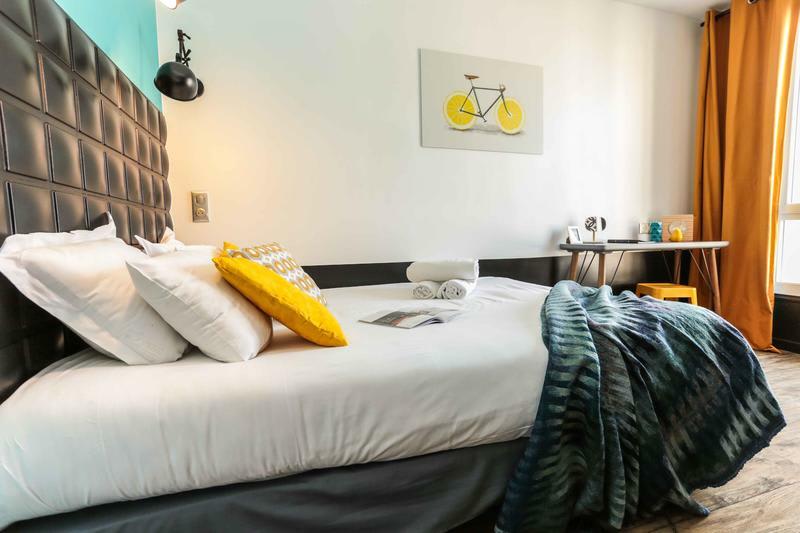 This hostel is conveniently located near Montparnasse in the Brancion neighborhood and is a quick trip to the Eiffel Tower and the Porte de Versailles exhibition center. It's perfect for both budget travelers and families. Various private rooms and dorms are available, all of which have been well furnished and they have a wonderful yet calm and relaxed atmosphere. It's the perfect place to relax after a long day exploring the city. They have 24 hour staff and also cater to business travelers, so it's a safe and comfortable place for people to sleep. All rooms, including dorms, have ensuite bathrooms. Amenities for guests include free internet and WiFi, hot showers, cheap breakfast, and more. There are many rooms available that will meet any traveler's needs for a range of costs. Reviews are very positive, and highlight the friendly staff, relaxing atmosphere, and affordable prices. 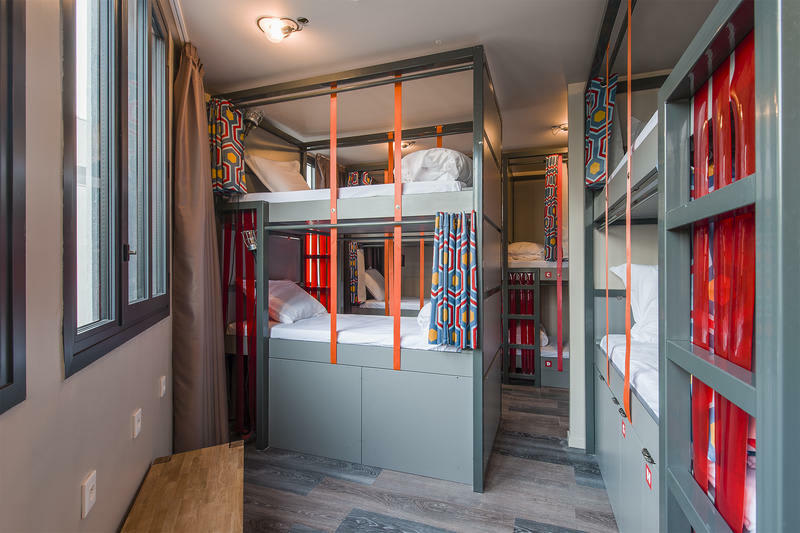 Close to the Eiffel Tower, this hostel has some medium and larger dorm rooms that can accommodate a group of people looking to have a great time in Paris. The building is modern, comfortable, and fun. The hostel is housed in a former 18th-century "coaching inn" considered to be a historical monument. For you, that means an interesting atmosphere with a unique historical vibe. The 3 Ducks Hostel offers all of the amenities a traveler could need, including rooms ensuite bathrooms, hairdryers, Wi-Fi, safes, reading lights with USB ports, and air conditioning, all in a uniquely decorated environment. With its magnificent outside terrace and long list of amenities, the 3 Ducks is comfortable, fun, and interesting. 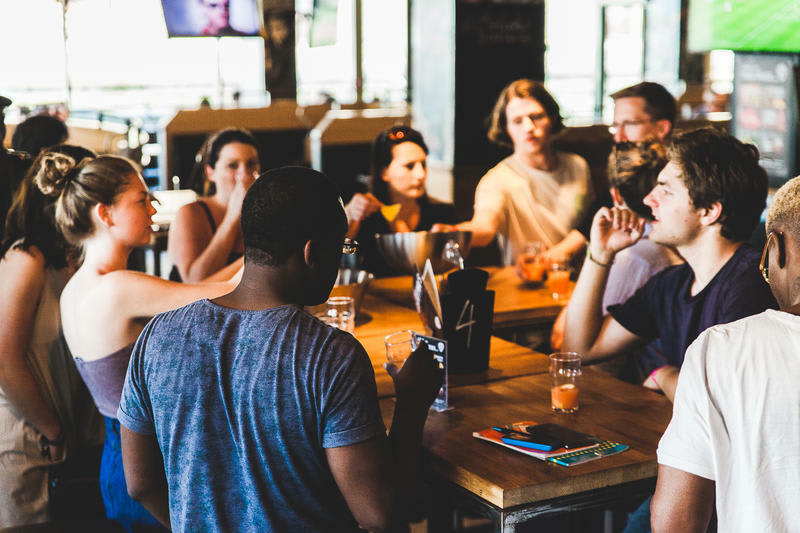 This hostel has an on-site bar so guests will always have a place to hang out and meet other travelers, or have fun with their larger groups. They serve breakfast, offer free Wi-Fi, and linens are included with your stay. Towels are available for hire. With thousands of reviews, feedback has been positive. TJ said, "An awesome place to stay! Great location for the places we were going to and close to the metro. Rooms where very clean and the beds were comfortable! It was a nice bonus to have one bathroom for each room rather than 1-2 per floor. I would for sure stay here again!" Read more reviews. Peace and Love Hostel offers guests a fun and vibrant atmosphere in an environment that was recently renovated. It's a party hostel with a reputation for plenty of energy. The hostel is staffed by travelers and they know how to make your stay enjoyable. There is no curfew or lockout. If you're traveling with a group that's looking for fun, then this is the hostel for you. A pub is located on the ground floor, and makes for a great spot to hang out with the friends you brought or the new friends you've just made. They also have a kitchen where guests can prepare their own meals, free wi-fi, linens and towels, a tour desk, and more. The hostel is located near Gare du Nord train station with easy access to Sacre Coeur, Pere Lachaise cemetery, Parc des Buttes-Chaumont, and Parc de la Villette. Several metro stations are nearby. There are several room options available for groups, which would make this a great option. Triple dorm rooms have triple sized bunk beds, ensuite showers and shared toilets (shared between two rooms). Triple Ensuite Dorm rooms have a double bunk bed and a folding bed. There is an ensuite bathroom. The four-bed ensuite room has two double bunk beds and ensuite bathroom. There is also a 14-bed ensuite room with 4 triple bunk beds and a double bunk bed. There is also a double room with a double sized bed and ensuite shower and a shared bathroom (shared between two rooms). Reviews of this hostel are mixed. The overall rating is good, but not great. Some reviews are bad and mention the noise and lack of cleanliness, while other reviews are great and mention the cheap prices, nice kitchen, and good location. One of the guests summarized it nicely, "This hostel is fairly basic. It is alright for sleeping if you plan on spending most of your time out." Check out more reviews. This popular hostel is a favorite among budget travelers. The entire place is decorated with a colorful and eclectic theme. It's located conveniently right in front of the canal St Martin. It's only a five-minute walk from Republique and a ten-minute walk from the Opera as well as Bastille and the Marais. It's about fifteen minutes from Montmartre and twenty minutes from the famous Eiffel Tower. Guests can choose between a variety of rooms including singles, doubles, triples, and dorms, so there is really something available for all traveler types and budget ranges. Dorms are small, with just a few beds, so it isn't too loud. Amenities available to guests include free internet access, breakfast, and free travel information. 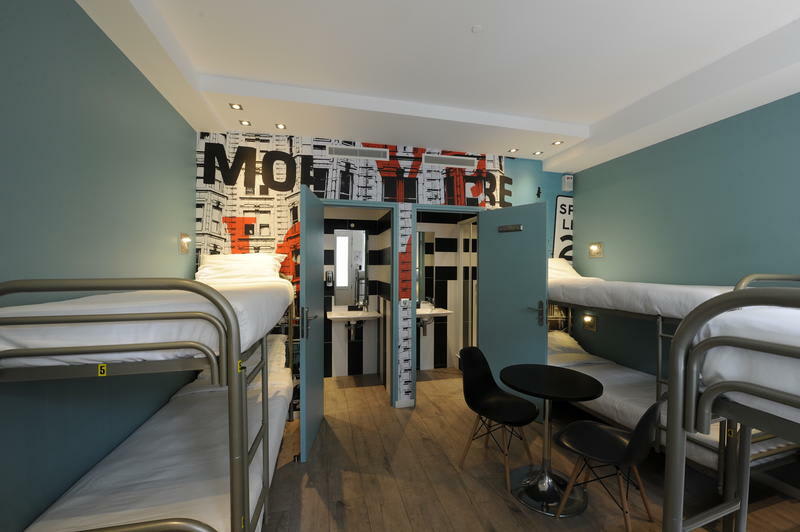 The hostel is in the trendy Metro Republique district which is near a lot of restaurants, cafes, pubs, and shops. It's the perfect place to base yourself during your time in Paris. Many people have good things to say about this hostel. One guest said "This is a hidden gem in Paris! What seems like a hotel turned hostel, this place has proper beds, only 2 people per room, is exceptionally clean and has a great breakfast that is included. If you're looking for a party hostel to meet people, this is not that, but if you're looking for a clean place to stay that is incredibly good value for money do not miss this place." See more reviews.